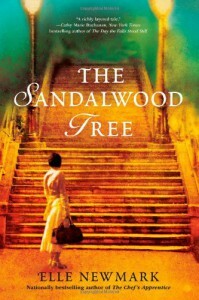 The Sandalwood Tree tells two entwining stories of Western women in India at different times. The main story is that of American woman Evie, living in India in 1947 with her Fulbright scholar husband Martin and son Billy. A veteran of liberating the concentration camps in WW2, Martin is suffering from shell shock and their marriage is under strain. As India edges towards partition and the withdrawal of the British, the situation becomes increasingly volatile.The other story, told around the main one, is a gem of a story about two unconventional Victorian women who grew up reading biographies of intrepid female explorers. Born in India, Felicity Chadwick takes the unusual step of living on her own, speaking Hindi and becoming involved in charity work. Seeking escape from the prospect of marriage, her friend Adela soon joins her and the two women become estranged from their fellow British settlers.This was a book to read slowly and treasure. Both stories were fascinating, although I have to admit I preferred the Victorian story and would have liked to see a few more chapters about Felicity and Adela. Even though this was a historical fiction novel set in a different time and place, Newmark retained a strong focus on character and plot first. The book was really about love in all it's different forms, and the story of Martin and Evie trying to overcome his war experiences was touching.There was also a vivid sense of place. Newmark visited India twice whilst writing this book and her writing is full of the sights and smells of the different locations. 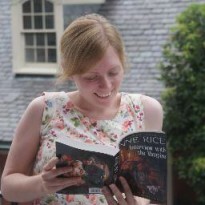 I enjoyed being transported away whilst reading and the descriptions of all of the different foods made me crave a curry! In fact, there was nothing I didn't enjoy about this book and it's one of my top reads of the year so far.